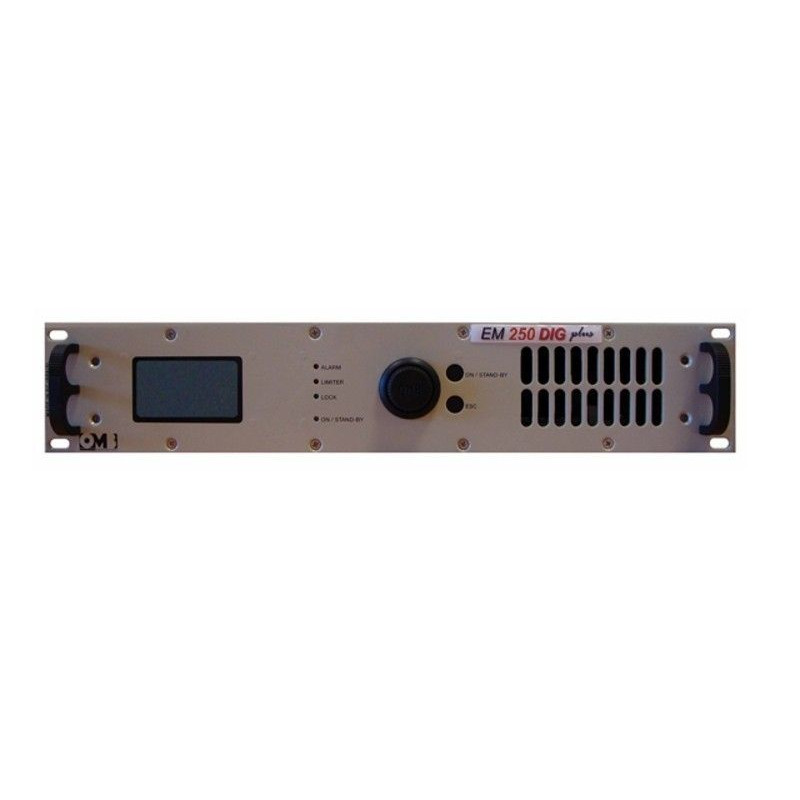 The EM 100 DIG PLUS is a 100W FM transmitter made up with the most modern available technology so as to provide the maximum performance at minimal cost, while fully meeting the technical regulations. Flexibility, quality, compactness, and low electrical consumption make the EM 100 DIG PLUS one of the best offered on the market today. 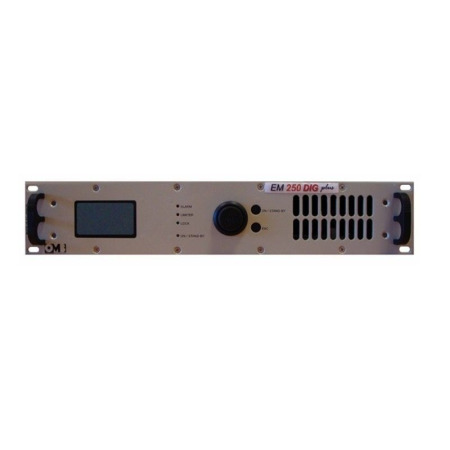 This transmitter can be supplied with an internal digital stereo generator board (60dB separation). By buying this product you can collect up to 94 loyalty points. Your cart will total 94 loyalty points that can be converted into a voucher of € 18,80. Super-compact size and reduced weight. Easy to use and to configure. The transceiver uses a control interface, which is equipped with a large LCD screen, a multifunction knob, and few buttons. Nominal RF output power over the full FM range particularly stable against time. Power section entirely modular and highly reliable. RF output stage with reverse intermodulation figure lower than the standard bipolar construction. Easy diagnosis and easy-to-read parameters. Compliance with the strictest regulations. OPERATING TEMPERATURE RANGE 0 to 40°C recommended, -10 to +55° max.